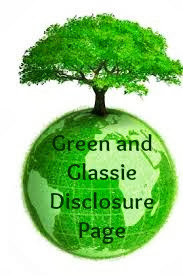 Green and Glassie: Living Green Tips! I am getting organized! I have posted a new page with Living Green Recipes - listed by topics. My old page was numerous recipes and tips in no special order. I will be adding to the list and hopefully by the end of March I will have all green recipes and tips from both blogs Deda Studios and Green and Gassie added to the listing. Go HERE to check out the new organized list of Living Green Recipes. The page is available at the top of the blog. I hope this list makes Living Green a little easier! Thanks for the tips! Sometimes we forget to do things that are simple just because it's not a habit. I love living as green as I can. I await your new tips!